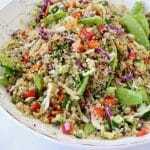 Easy Asian quinoa salad recipe with cucumber, cabbage, and peppers tossed in a sesame coco aminos dressing. 100% whole foods, plant based and vegan! 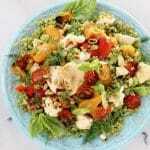 Cold and refreshing, the summer salad of your dreams! 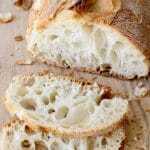 Recipe video below! 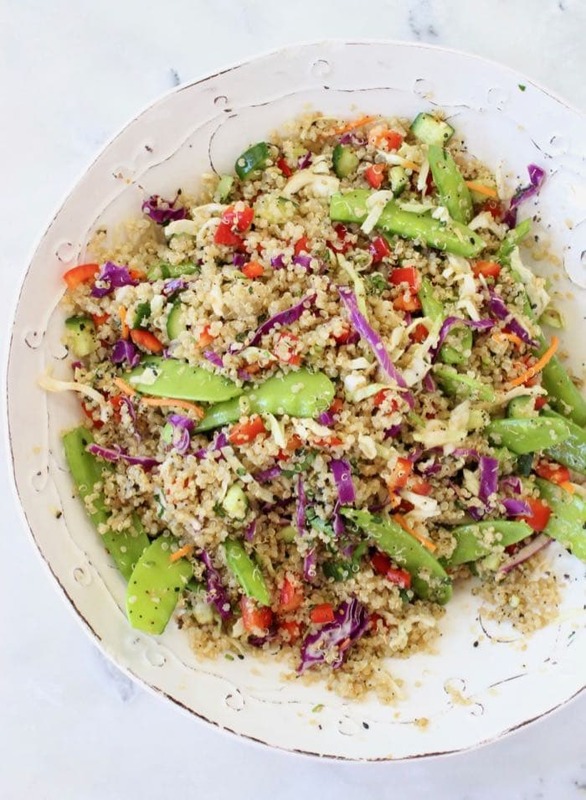 This Asian Quinoa Salad Is Everything! Travels great in a jar. 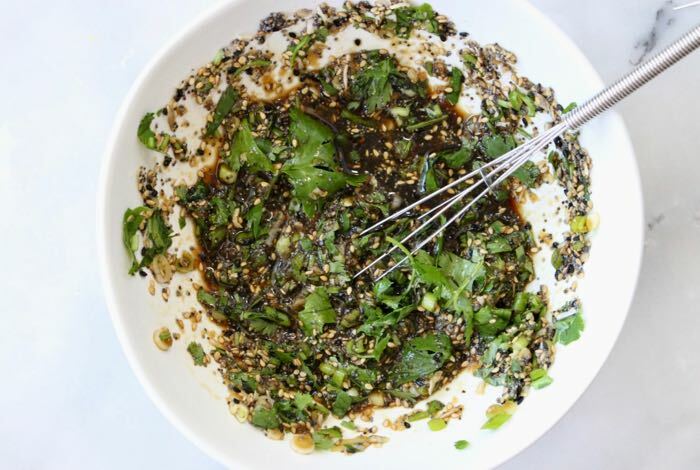 The coco aminos dressing is absolutely magical: no soy sauce, no oil needed, just a magical sesame touch from my everything bagel seasoning mix. If you haven’t made your own yet, well you are missing out, go make some. I meant to sprinkle a few mandarins on top of the quinoa salad but forgot to grab some at the market hehe. You totally should however, or maybe use some of the suggestions below to make it your own. 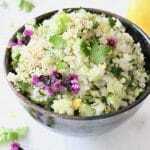 Easy Asian quinoa salad recipe with cucumber, cabbage, and peppers tossed in a sesame coco aminos dressing. 100% whole foods, plant based and vegan! In a medium bowl whisk together the coco aminos with the everything bagel seasonings, garlic, scallions, lime juice and cilantro. 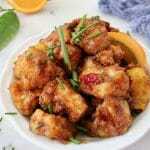 Taste and adjust seasonings with more lime or lemon and sea salt. Refrigerate until needed. Dice all your ingredients as instructed in the recipe. 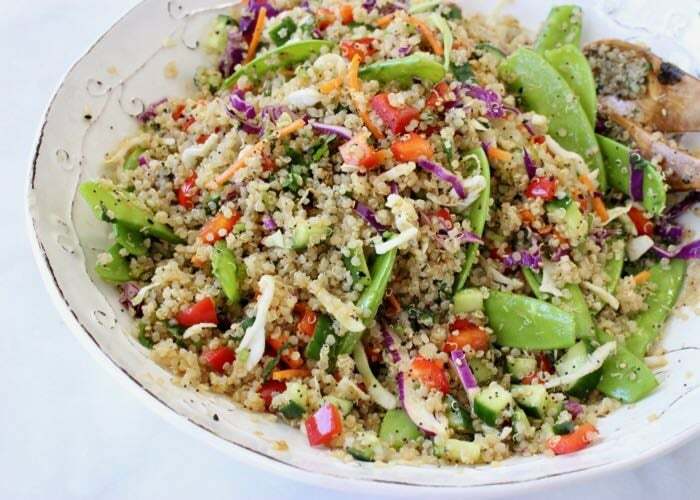 In a large salad bowl combine the quinoa with the diced bell peppers, cucumbers, shredded cabbage mix and snow peas. 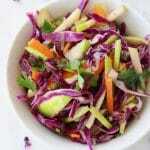 Pour the Asian style dressing over the salad and toss to combine well. Serve promptly. Everything can be prepared in advance but It’s best to wait and toss the salad with the dressing just before serving in order to maintain the crunch of the vegetables. Red quinoa can be used instead of white, or a mix of both. 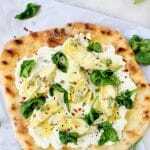 Perfect salad for summer! Thank you for the introduction to coco aminos, a real lifesaver for those of us who can’t do soy, also really tasty. 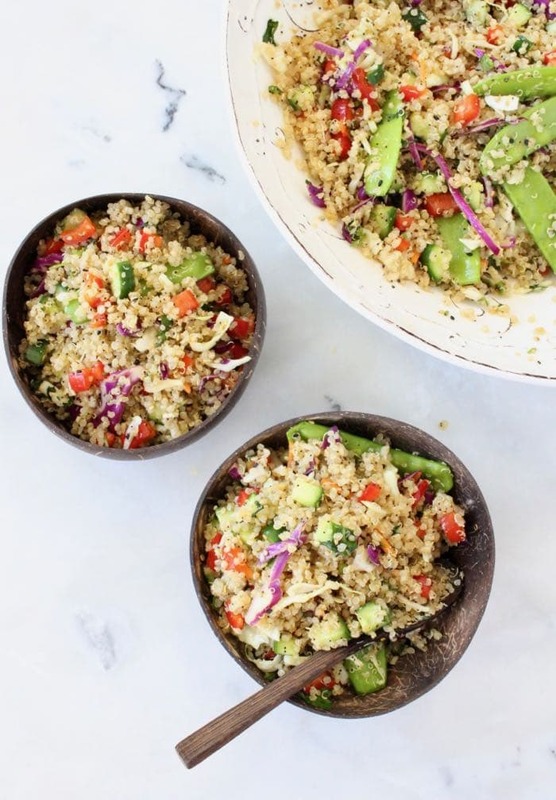 I think I’m in love with quinoa thanks to this recipe. Keep them coming!